It really all began with the Arab Spring in 2010. Social media played a huge role in that entire affair. In fact, the media coined the term ‘Twitter Revolutions‘ in an effort to define what the world was seeing. In the past, media provided a filter. If something was on the front page of the evening news, it was considered important. If it was buried deeper in the paper, or later in the newcast, it could often be disregarded as unnecessary. Today, anyone can broadcast—whether it’s a distraught mother, a crusading journalist, or an angry Canadian complaining about #firstworldproblems. Nobody needs to ask for permission to write about something, even in a corrupt, authoritarian country. The government can no longer control the media in any part of the world that can connect to the Internet. Twitter has released those restrictions. With a simple #symbol, everything can be shared. That’s why social media is playing an increasing role in shaping events. A small group of passionate people can influence and form entire movements. Of course, some governments have tried to control the spread of information by controlling Twitter, like they would a paper or a news channel. The Turkish Prime Minister for example, tried to block his country’s access to Twitter when he didn’t like what was being posted about him and his government. Days later the country’s highest court ruled that this ban was illegal and ordered the government to bring it back. UPDATE: The YouTube ban in Turkey was finally lifted today, June 4. 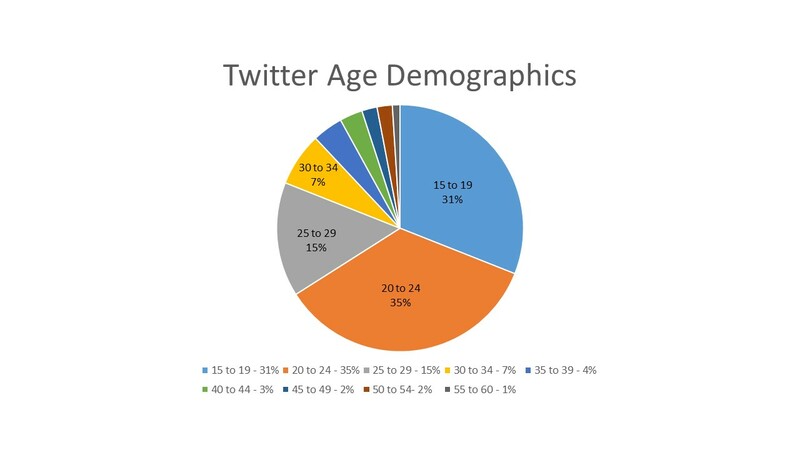 Curious as to how many people are actually using Twitter? 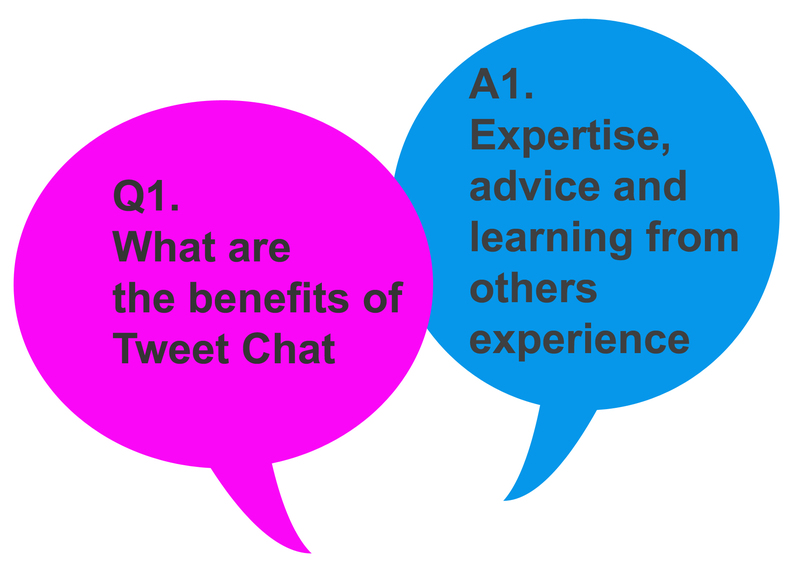 Check out this graphic from the Twitter website. One of the reigning Kings of Social Media, Twitter has flapped in and picked up an impressive flock of followers. Founded in 2006, it started out as a text messaging service that allowed users to communicate with a small group with short and sweet messages. The main charm of Twitter is that it is real time. Information is shared immediately and can be used on almost any device to share news, pictures and real time conversations. There are many ways this new information exchange has affected the world around us. Listed below are a few of the most singificant ones. Twitter happens in real time. As a result, news spreads faster than ever. This quick exchange of information has been invaluable in citizen uprisings, like the Arab spring or for fundraising efforts during the disaster in the Philippines last year. That picture went viral! It was the first time a tweeted picture made the jump from Twitter, to the front pages of newspapers and broadcasts around the world. 4. The Twitter revolutions When the Turkish Prime Minister tried to block access to Twitter in his country, Graffiti took on a new purpose. On a typical day, Turkey ranks about Number 8 in active Twitter users worldwide. 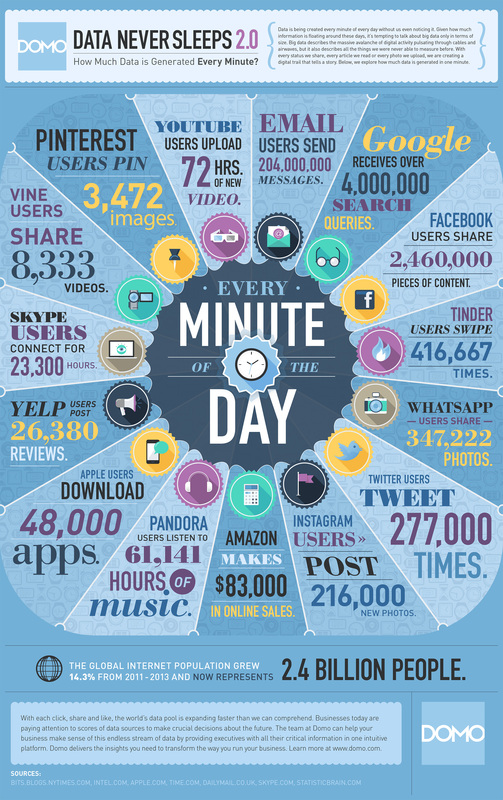 That’s about 10 million active users on any given day. If Prime Minister Recept Tayyip Erogan thought he would easily silence those voices, he had another thing coming. On the evening of the ban, graffiti began covering the walls and roads in Istanbul to tell people how to access Twitter despite the block. There has been a lot of debate over how much of an impact Twitter and social media had had in revolutions and crises around the world, but its impact is hard to ignore. Twitter has played a huge role by helping people get images of violence out to the outside world, and into the hands of the wider public. HOW DOES TWITTER DO THIS? How does Twitter manage to make so many quick hits of information make sense? That’s where Hashtags and Trending come into play. A Hashtag is a number sign #. 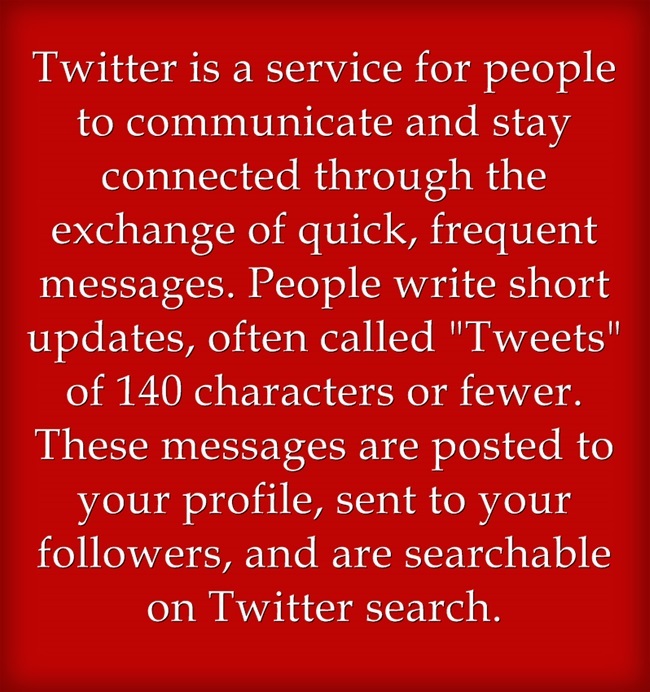 It organizes information on Twitter. For example, if you search #GameofThrones, you’ll get a list of tweets related to the TV show. What you won’t get are tweets that say I love board games because games isn’t preceded by the hash tag. Twitter uses those Hashtags to determine what its users are talking about. The topics that are being most talked about, are considered to be trending. 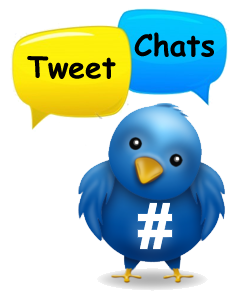 You can find lists of what is trending in your area, or world wide right off of the Twitter home page. The following are just a few popular trends that have been circulating on Twitter over the last few weeks. There are of course many more! Feel free to add any extras in the comments below. The suspected misogynist motives behind Elliot Rodgers killings in Isla Vista a week and a half ago is bringing a Twitter hashtag movement to the forefront. Due to the fact that Rodger seems to categorize all women under one label in his rant, the hashtag #YesAllWomen was born. It touches on issues like harassment and gender relations. Many of the tweets tell jaw-dropping stories of abuse, harassment and more. The #YesAllWomen campaign is trying to show the abuse and harrassment that many women in the west deal with on a daily basis. This, in turn gave rise to the #NotAllMen trend on twitter. It’s a heavy topic to try and address in 140 characters, but it’s gained a lot of attention. It sat near the top of Twitter’s trending topics over the weekend. By now, almost everyone has heard about the abducted girls in Nigeria by Boko Haram. In case you’re not up to date though, here is the recap. In the middle of the night on April 15, more than 300 girls were kidnapped from their school in Chibok, Nigeria. The horrific crime—carried out by Islamist militant group Boko Haram—went largely unreported for nearly two weeks. The #BringBackOurGirls campaign changed that. 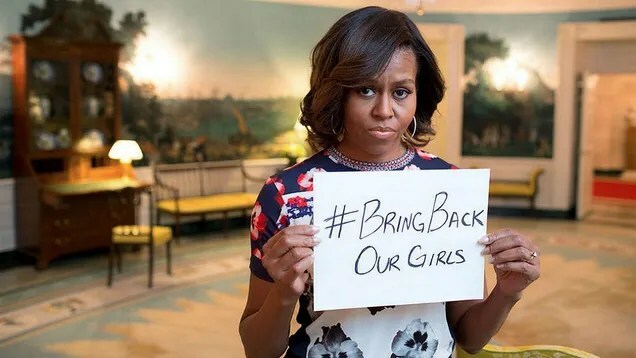 In part due to pressure from Twitter and the public, The United States is finally deployed a 200-person military and law enforcement delegation to Nigeria to help in the search, and in the meantime, people all over the world are speaking out through the #BringBackOurGirls campaign. You can see (and upload your own!) photos on this Tumblr set up by Amnesty International, and check out some of the big names showing their support. The exact date of that quote eludes me, or whether he was referring to having a website or being active on social media, but the point is moot. Social media is not a fad, and it has become just as important as accounting, management or any other division of any business. If you don’t interact with your customers and employees in some way on the world wide web, odds are you won’t have any customers to interact with shortly. With that in mind, for today’s post I’m going to focus on something a little different. I’m going to break down social media – tell you about the veterans of the industry (Facebook, LinkedIn), the causalities (MySpace) and the revolutionaries (Snapchat, WhatsApp). I’m going to explain the pros, cons and purposes of all of these so you will hopefully have a better understanding of how Social Media can work for you and your business. Arguably, the one that started it all. Facebook wasn’t the first social networking site out there, but it certainly brought the concept into the spotlight. Like many social networking sites, Facebook got its start by university students who initially marketed their product to other university students. Facebook is a child of Harvard. It remained on that campus exclusively for its students from 2004-2006 before finally graduating and opening up for the general public. Marketplace – allows members to post, read and respond to classified ads. Groups – allows members who have common interests to find each other and interact. Events – allows members to publicize an event, invite guests and track who plans to attend. Pages – allows members to create and promote a public page built around a specific topic. 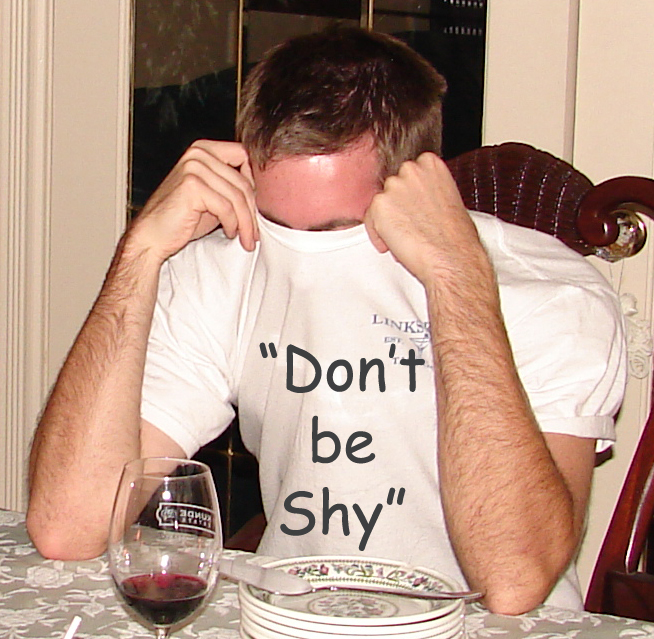 Presence technology – allows members to see which contacts are online and chat. Today it is a vast, sprawling network that has over 1 billion users. It is still growing and evolving as well. 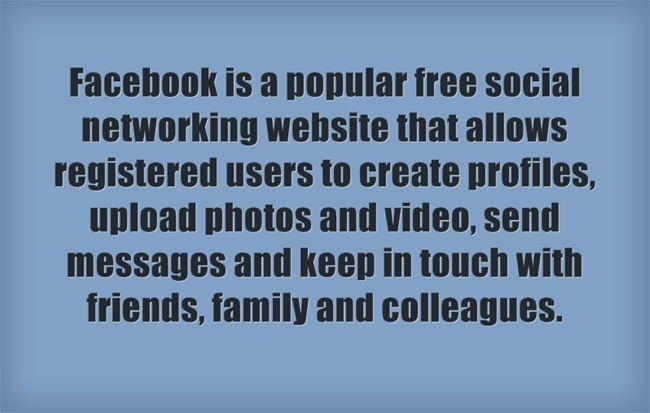 Everything from photos to videos to text can all be shared through Facebook. Check out this video from the popular group AVByte for a fun summary of Facebook. The last day of April saw the CEO and Founder of Facebook, Mark Zuckerberg take the stage at a Facebook Developer Conference (F8). The Facebook developer conference is suppose to happen every year, but this was the first one they’ve had in three years. We spoke a little bit about changes in Facebook a while back. You can check out that blog entry HERE. What Facebook comes down to is that it is a site that has over 1 billion active users. It gives you the chance to show something off (be it yourself, a product or your business) in a way that people can relate to. One of the reigning Kings of Social Media, Twitter has flapped in and picked up an impressive flock of followers. Founded in 2006, it started out as a text messaging service that allowed users to communicate with a small group with short and sweet messages. The main charm of Twitter is that it is real time. Information is shared immediately and can be used on almost any device to share news, pictures and real time conversations. Take the below picture for an example. 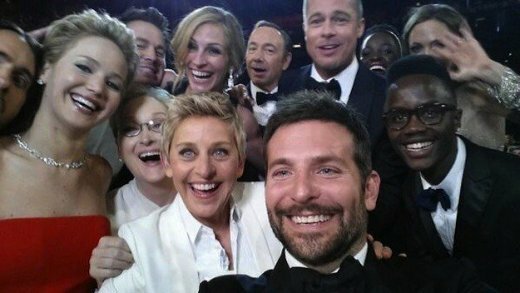 Star Ellen DeGeneres was hosting the Oscars this year. While she was hosting, she took the below photo and shared it through Twitter. This tweet was viewed over 3.3 billion times worldwide through Twitter! That’s a lot of people seeing your content! Twitter has hit a snag in the last few days though. It’s stock hit a new low after their IPO (initial public offering) lock-up ended last week. Shares dropped more than 11 % by the end of the day the lock-up ended, the lowest they’ve been since their initial public offering in November. Lock-up periods prevent company insiders from selling stock following an initial public offering. 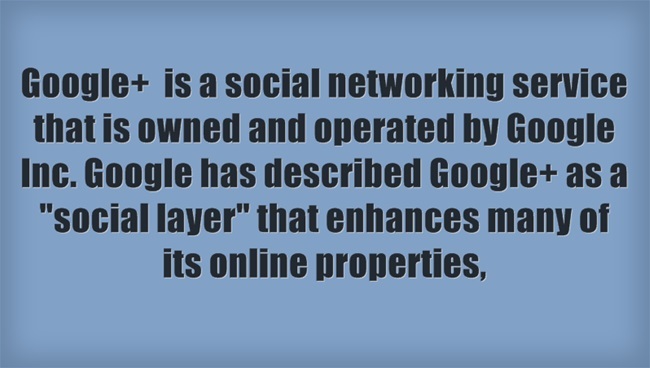 Google+ is Google’s answer to social media. It claims to not just be a social networking service, but a social layer that covers all of your actions on the internet. Google + entered the social space in 2011, and it had a very rough start. Largely met with scepticism for joining a crowded field that was already dominated by Facebook and Twitter, many wondered why it was needed. Today though it has established itself as the second largest social-media site in the world. It has a monthly userbase of 235 million and its unique features like Hangouts and Communities have made it an incredibly useful network. Google Hangouts: is a free video chat service from Google that enables both one-on-one chats and group chats with up to ten people at a time. Google+ Communities: is a feature that allows you to develop or participate in a community around a specific shared interest. Can be private or public. Despite these successes, there has been some mixed reports on whether or not Google+ is dying. A few weeks ago its boss Vic Gundotra suddenly and unexpectedly announced his departure from the company. Now, Google is testing a new sign in button for developers around the internet that replaces the branding of the companies social network. No longer the red sign in icon for Google+, developers can now display a blue button that says ‘Sign in with Google’ instead. That does seem pretty ominous. Think of LinkedIn like the Facebook of the professional world. Personally, I think everyone should have a profile on this site, and not just because that would make my job so much easier. Sources say that over 90% of Recruiters are using LinkedIn in some capacity. Since P4Digital and Planet4IT are placement agencies, I’ll let you fill in the blanks. LinkedIn is incredibly important for visibility. It has more than 2777 million members. 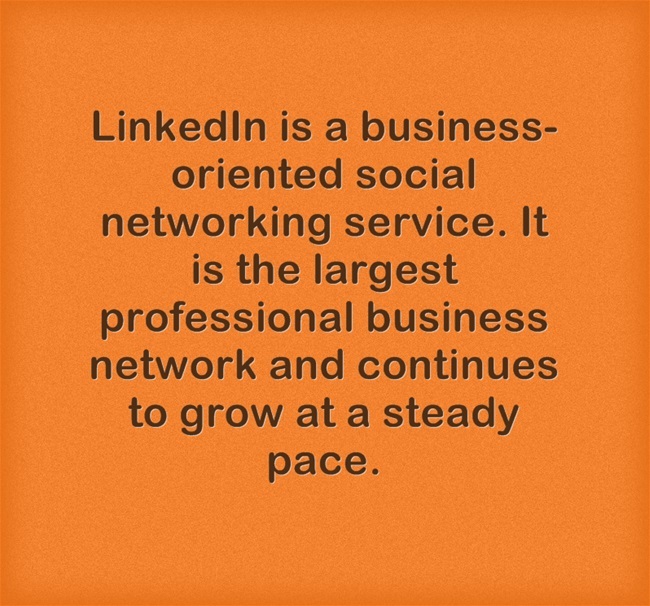 According to statistics, professionals are signing up to join LinkedIn at a rate of two new members per second! It’s web traffic grew by 34.51% in 2013. This site is all about establishing connections and connecting with other professionals in a field. You can get your work endorsed, make yourself searchable and join and participate in a variety of groups and discussions to tout your expertise. Most importantly, you can promote yourself. 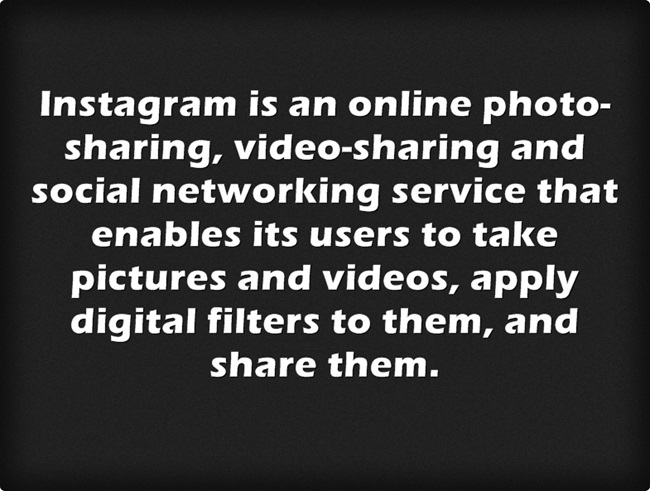 “Capture and share the worlds moments.” Launched in October of 2010, Instagram is at its heart a photo-sharing app. Photo sharing – you can take pictures with the app or use photos that are already in your smart phone camera roll and share them on not just Instagram but other networks as well. Photo Manipulation – they have a bunch of different filters youc an use to ‘spice up’ your pictures. From black and white to futuristic, there are tons. 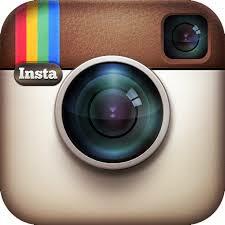 Social – like all these other networks, Instagram is based around having friends and followers. You can talk with others, like photos and follow other people who you like. Instagram’s popularity is still growing at an astounding rate. A lot of people are predicting that it will eventually surpass Facebook and become the reigning King. Do you keep a message board at home? A place to pin photos, inspirational quotes, recipes, and goals among other things? Pinterest is the digital version of that. 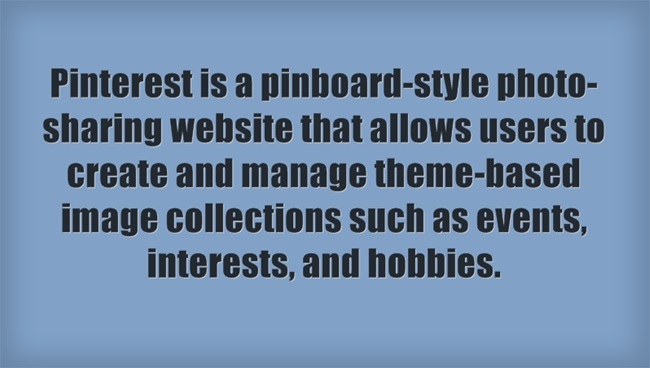 Pinterest is a website that allows you to “pin” things online, just as you would pin them on a real life bulletin board. Pinterest saves all of your pins on your account so that you can access them easily from a variety of devices. Since it is officially a ‘social’ site, you can also follow friends and “repin” things to your own boards that they have shared. There is also a live feed of items that are being pinned by strangers when you’re searching for inspiration. You all knew I was going to mention this one! It would be silly if not down right embarrassing if I didn’t talk about the platform I am using to write this very Blog! There are actually two parts to WordPress. The first, is a simple blogging system. You can like posts, comment and follow them all from a simple dashboard similar to Facebook or Instagram. However, you can also venture into the deeper aspects of WordPress which involve a fully customizable website creation platform. However, since we are talking about social media today, we’ll just stick to the first version. 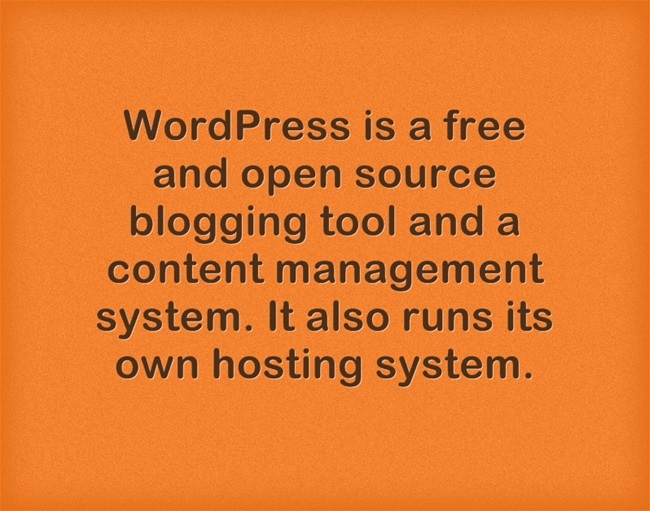 WordPress.com gives users a free blog they can use to post content. You are not allowed to place ads or advertise your product or service. You can always upgrade to the premium account for a fee to get the ad-free site with a personalized domain name. From family videos to vlogs to feature length movies, Youtube brings interaction to a whole new level. Registered users are allowed to upload whatever they like (within Copywriting laws, of course), and you don’t have to be a registered user to watch them. Today, the Youtube video search is the second largest search engine in the world, coming just behind Google. The cry of “DO IT FOR THE VINE” is probably something you have all heard before. A fairly new social media network, like many others it allows people to like, share and follow. Like Youtube, it is a network that allows for sharing of videos. 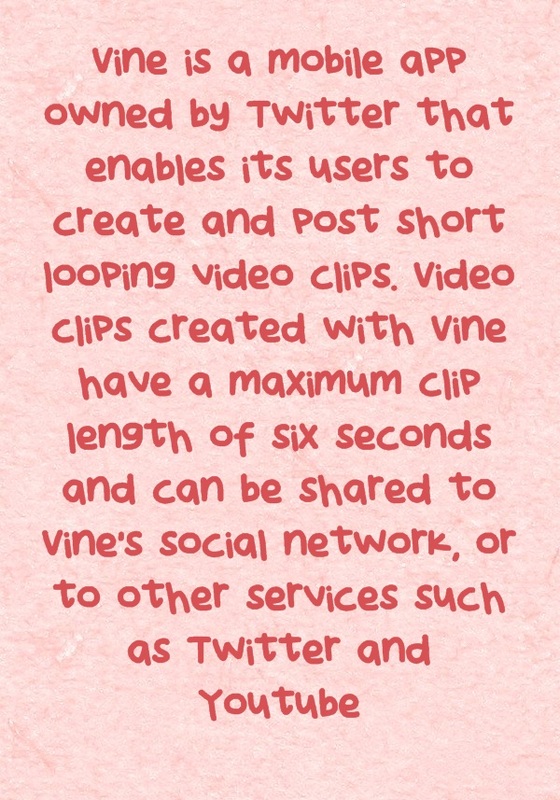 What makes Vine different from Youtube is that each clip can only be 6 seconds long. It’s a great service for quick and funny views. Making a social media network isn’t a simple matter. When they are successful, boy are they ever successful. However, not every network makes it. Even if they have success for a while in the past, that is no guarantee that it will continue to survive into the future. Below are some examples of Dead Social Networks. Friendster: a social network that was founded in 2002. Arguably one of the first truly successful social media sites, it is often thought of as the grand-daddy of social networks. 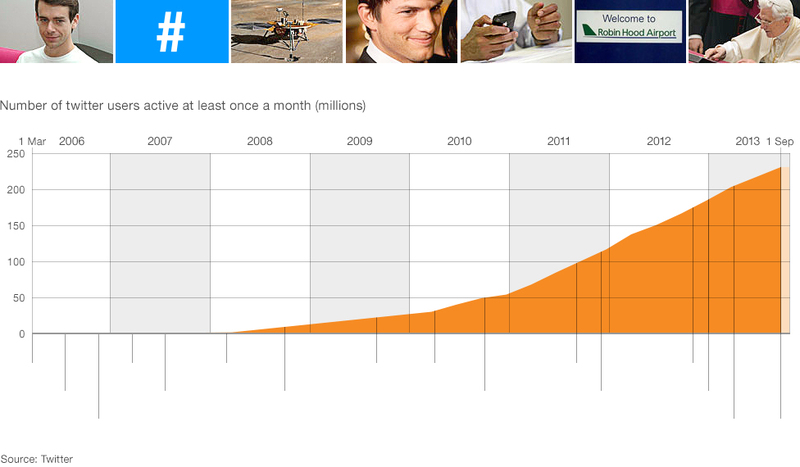 At its peak it had over 100 million users, most of them in south Asia. They were so popular, they turned down a 30 million dollar buyout offer from Google in 2003. In July 2009, following some technical problems and a redesign, the site experienced a catastrophic decline in traffic as users fled to the then new network Facebook. MySpace: was a social network that placed an emphasis on music. It was in direct competition with Facebook. Both of them came out roughly at the same time, and offered similar features. At its peak in December of 2008, Myspace had 75.9 monthly unique visitors in the U.S. alone. By May of the next year that number had dropped to 34.8 million. After that it lost on average a million U.S. users a month. Rumours are circulating that MySpace may be rebranding and trying to make a comeback, but if it tries it will be fighting an already oversaturated market. Facebook just spent an astounding $16B+ for WhatsApp this year. 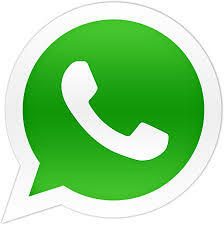 WhatsApp isn’t as popular in Canada and the United States as it is in Europe, Latin America and India. Actually, when you add all of that together, it has 450 million monthly average users. 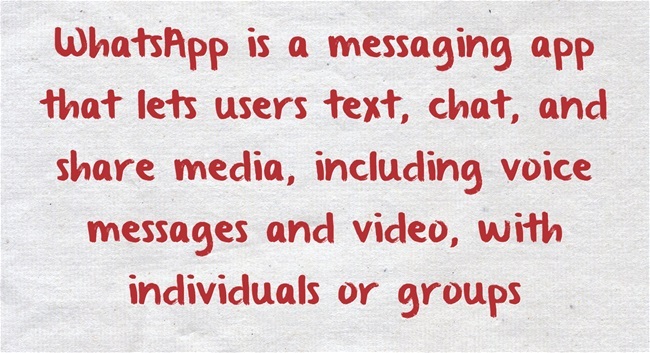 WhatsApp relies on data to send messages, so it doesn’t cut into your monthly text allotment. It functions very similarly to BBM or iMessage for the Blackberry and iPhone respectively, but it is a cross network device. This application is free for the first year, and then costs just 0.99 cents a year after that. Most of us know the famous quote from the mission impossible movies. The “This message will self destruct in 5 seconds”. Well, Snapchat is built around that foundation. That’s right. When a user sends a message they get to decide whether it will live for between 1 and 10 seconds. After that, it’s history. Of course, there are ways to undelete the photos, but it is very difficult to do. Everything from wacky facial expressions, to food to… well, more private photos are being shared because of the added privacy of this service. Last Thursday, Snapchat settled charges with the Federal Trade Commission that it deceived customers on several levels. The app isn’t totally secure, and the company was secretly spying on its users. 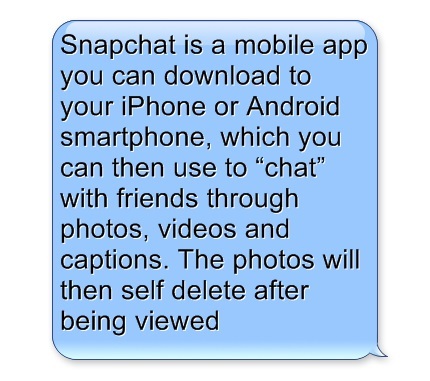 Snapchat assured users that private photos sent using its app would automatically delete. Those were lies. The disappearing videos and photos don’t actually vanish. They were stored unencrypted on phones. The company was also quietly collecting information about its customers despite the fact that it promised not too. 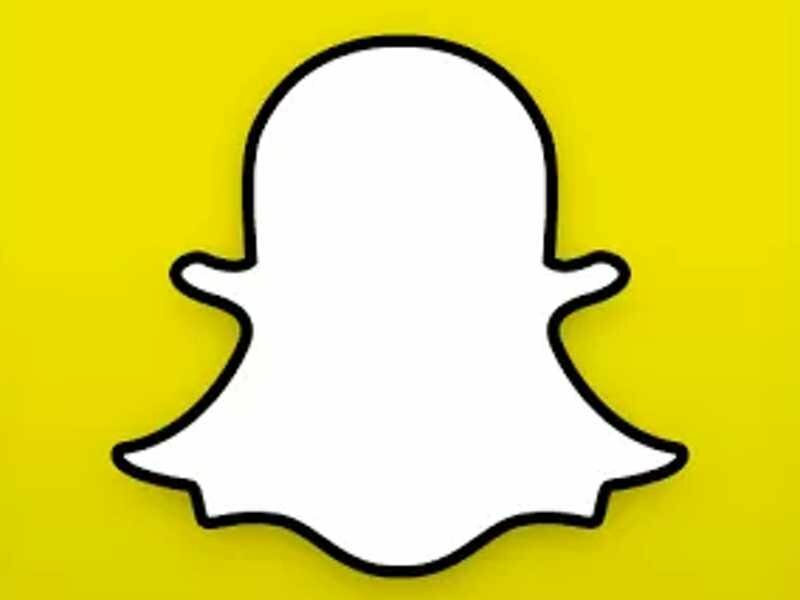 Then hackers stole this information from 4.6 million Snapchat users. 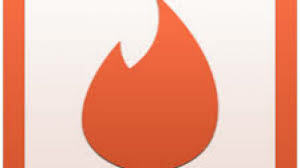 Tinder, online dating in the age of social media. Once you download this app to your mobile device, you take it with you as you go about your day. Tinder does the rest. 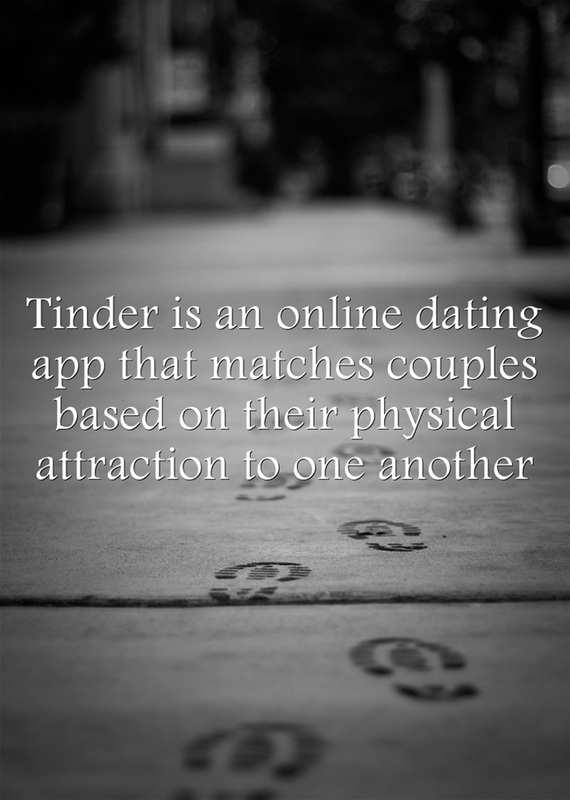 It alerts you to other Tinder users who fall within a specified age range and gender that are within a certain distance of your location, and it lets you know if you have any mutual friends. You then decide whether or not you like the look of a person – if you do great – if not, they will never know. If you’re both interested then Tinder’s messaging function offers you a virtual private location to chat and get to know each other in. Of course, this is just a very brief summary (in a 2000 word blog!) about the current social media scene out there. This list is changing and growing almost daily, so the best thing you can do is decide which of these, if any, are working for you. That, or check back here at the P4Digital blog for more updates!